Eeek! There are spiders in your kitchen! 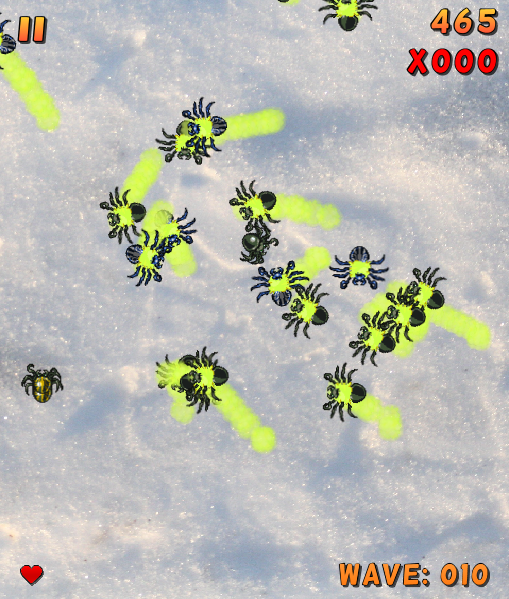 Use your fingertips to end the invasion of the eight-legged beasts before they overrun the whole house. Stomp enough spiders to open up further environments around the house and face increasingly challenging types of spiders. Each environment has its own leaderboard that allows you to compare scores with your friends and the rest of the world. Your spider stomping adventure will take you to 5 different environments: The Kitchen, Driveway, Sandpit, Grass and Winter. Each offers an increasingly difficult set of spiders–including some that will bite your fingers! Provides a leaderboard and achievements. Be sure to try and unlock all the over 40 achievements! Visit the Spider Stomp fan page on Facebook! 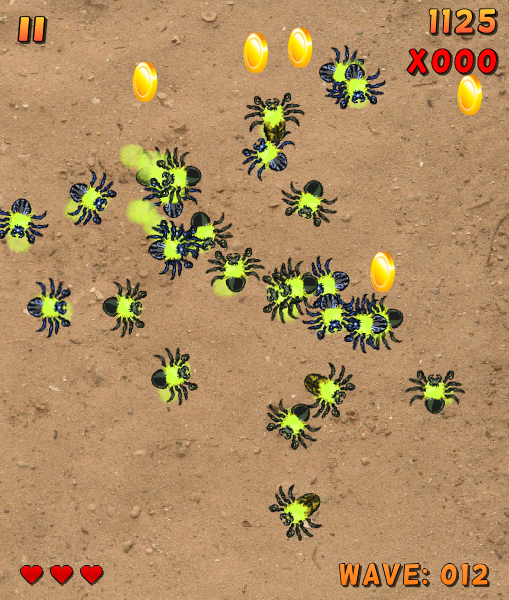 Click the icons at the top to download Spider Stomp for your mobile or Click here to play it now!